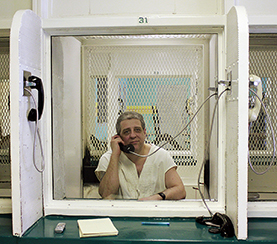 Will capital punishment be abolished in America? Capital punishment is gradually fading from the American criminal justice system, and fewer criminals are being sentenced to death in states that still impose the death penalty. In 2013 Maryland became the 18th state to ban the death penalty, and only nine states accounted for the 39 executions conducted nationwide. Critics say capital punishment does little to deter serious crime, leads to executions of innocent people and is used disproportionately in cases involving minority and poor criminals. Death-penalty states also face growing pressure over lethal injection, as sources of traditional drugs dry up and states are forced to try new drug combinations. After Oklahoma botched an execution in April, President Obama called for a federal review of protocols used in state executions. Meanwhile, support for capital punishment has gradually diminished, though the practice continues to have widespread support in some states. The death penalty is slowly fading from the U.S. criminal justice system, even as the national crime rate remains low. In 2013, Maryland became the sixth state in six years to ban capital punishment and the 18th ever to enact such a ban. 1 However, capital punishment opponents still face an uphill battle to persuade courts and lawmakers to outlaw the procedure in every state. Is the capital punishment system working? Are “get tough” policies the best approach? Is overhaul of the criminal justice system needed? Should states impose moratoriums on executions? Are the federal guidelines unconstitutional?